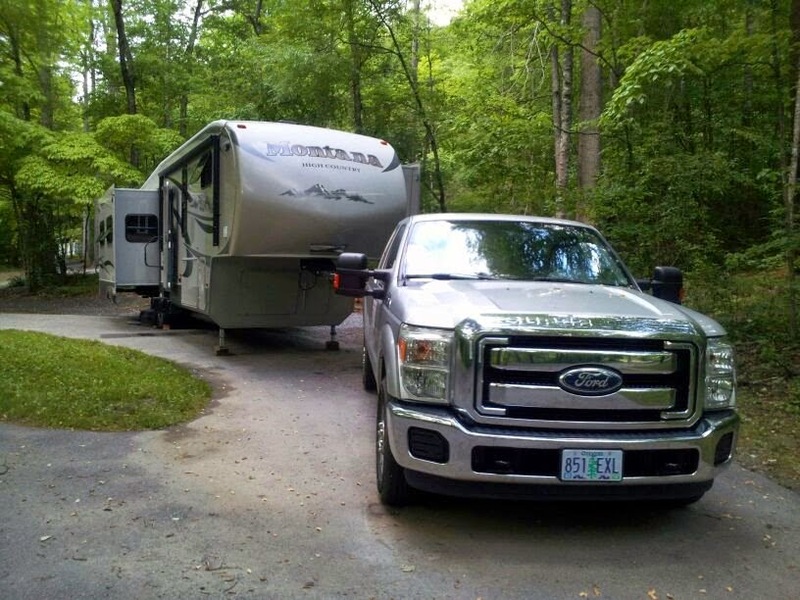 We are camping at Deep Creek Campground in the Smoky’s, but had a heck of a time getting here! We were originally planning to stay at Smokemont Campground, but although he sites were large enough for our rig, there was no way we could get into the sites, the driving was too tight. We tried a couple different sites and eventually decided to make the move to Deep Creek. Deep Creek isn’t as centrally located as Smokemont, but a nice campground and we were able to get into a site, although still cumbersome. One of the complaints we have about both campgrounds in that there are tons of low-hanging branches (low enough o scrape the roof of our truck, let along our 12’9” RV!) We asked the camphost about this, whose response was that it was the beginning of the season and the grounds crew just hasn’t gotten to it yet. Uh, no, these branches are much bigger than one winter’s growth!